have you suffered traumatic childhood events? Dialectical behavior therapy (DBT) and eye movement desensitization and reprocessing (EMDR) can help. Past traumatic events often trigger strong reactions that can interrupt your daily life. You may feel as if you are reliving past experiences or you may feel trapped by strong emotions and physical sensations. You Untangled, the first workbook in this series, explains how to evaluate your emotions, communicate effectively, maintain healthy relationships and live mindfully. Once you have established that baseline of healthy mental and emotional functioning, it is possible to move deeper into reprocessing past trauma. You Empowered can help you take that next step on your journey toward a happy, productive and fulfilling life. Using the principles of DBT and EMDR, this workbook offers proven methods to help free you from past trauma and destructive behavior. 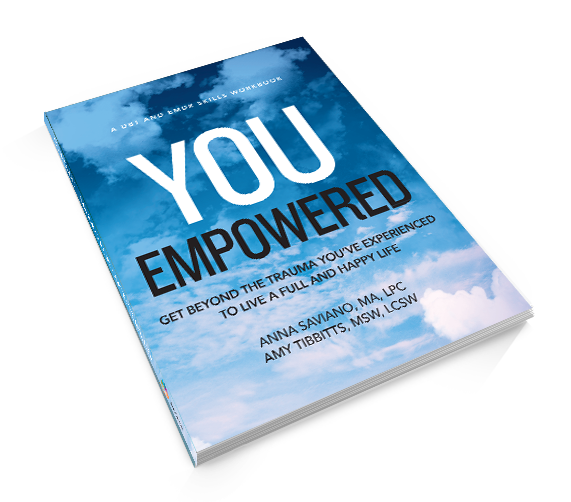 You Empowered can help you achieve the life you envision … and more!